Quinn is a farm boy, and he's happy with that. His older brothers might long for adventure, but he's more than content to stay at home. Unfortunately for Quinn, he has a few talents that make him destined for greater things. First of all, he can read. Secondly, he remembers everything. If he's read it, seen it or heard it, he can remember it … perfectly. So when the King of Verdania decides that he wants to be the first to have a complete map of the world, Quinn is a natural choice to be selected for training as a mapmaker. Only three of the chosen boys will actually make it on to an explorer's ship — and Quinn is sure he won't be one of them. But then, Quinn's not the best judge of his own character! 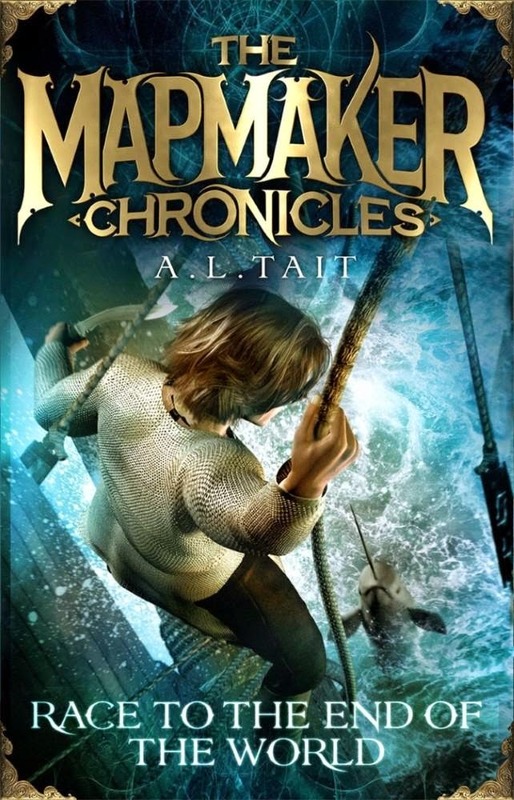 Selected by the King's slave Zain to be his mapmaker, Quinn embarks on the adventure of a lifetime. The other two ships in the race to bring back the best map of the world are captained by a renowned explorer seeking fame and fortune and a rich noble seeking power and influence. Zain seeks only his freedom. He also seems to be the only contender with a sense of honour, as the other captains stoop to theft and betrayal in their quest to win. As they encounter setbacks and challenges, he and Quinn form an unlikely friendship of sorts, based on mutual respect, as Quinn learns that he's more capable and suited to a life at sea than he could ever have imagined. Mystery, monsters, murder and mayhem all feature in this action-packed adventure that will appeal to boys and girls alike. The second book in the series, Prisoner of the Black Hawk, is due for release in 2015.